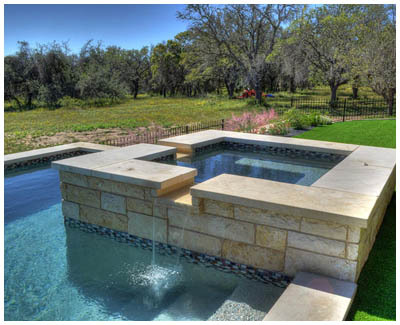 At Marble Falls Spa & Pools first and foremost we design, sell and oversee the construction of custom swimming pools and spas in the Highland Lakes area of Central Texas. 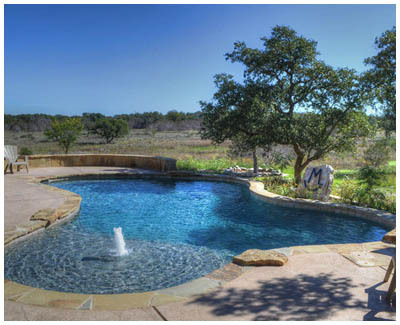 Our quality gunite swimming pools and spas provide many years of fun in the sun and fulfill the backyard dreams of our customers. We can also handle the construction of your pools deck for you. Give us a call at (830) 693-8292 today for an appointment!